Congressman Frank Lucas visits with residents of Roger Mills County last Friday. The Town Hall Meeting was held at the Washita Battlefield National Historic Site. 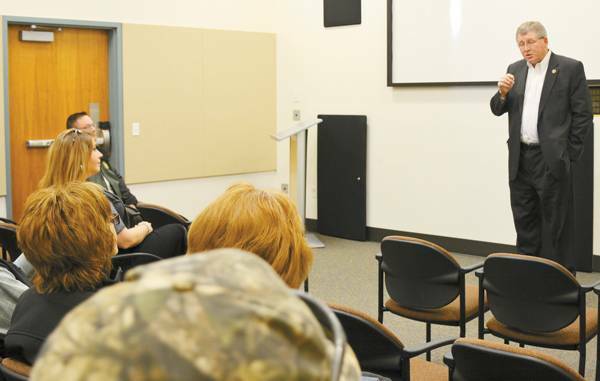 Congressman Lucas discussed current events in Washington, D.C. and took questions from the crowd concerning salt water injection wells, the right to bear arms, Obama care and several others.